In this post, I will share some information about the Product Development. 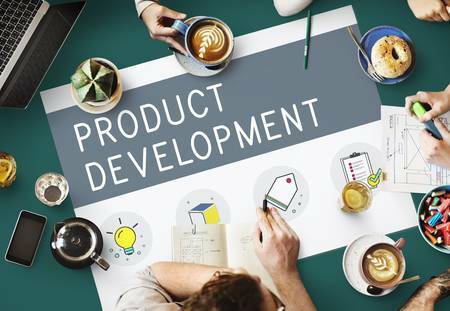 There are many steps and levels for development of a product such as product strategies, market research, market and quality and other checklist for product development. First of all you should know what product development is all about? Product development can be defined as a process of creating, managing, designing and marketing. It can be relate to the existing product or a new product and its promotion. I can say that if you are planning for product development then first thing you need to do is defining your product. You should provide an exact and attractive description for the product you want to promote. The company who want product development should try to know the requirement and product related needs of the market. It will help to know them what people want and a purposeful approach. There are some points which you should clarify before starting. The proposed target market for the product. The requirements of the market. Benefits and uses off your product. Services provided by other related products and its cost. This kind of market research would be beneficial for getting closer to the targeted customer and market. You can also try some additional test such as customer survey. I would suggest you to make workable and creative product concepts. There are numerous companies and organization which are supporting the product development professionals such as PDMA and PDI. I can say that competitive product development strategy should change according to the customer’s need. Product development contains many steps which fulfill the market requirements and identifying the key issues and other approaches. You should try to generate new ideas for the development strategy. Some other concepts should also be done like developing and screening concept, testing concepts, implementing concepts, product testing and commercializing product. The main part of the product development is the checklist of the required steps. The first step of the checklist is research which can include the information about aspects for markets, the competitors, product price and similar product. The second step of the check list is the quality and training. After this step the other step of the check list is product which includes the completion strategy, quality improvement and different product approaches. The last step of the checklist is the price of the product which can contain the information of the competitor’s prices, issues of customer and other pricing approaches. I hope this article would be helpful for you to know the different aspects for product development.